Gigi Amateau‘s first book for young adults, Claiming Georgia Tate, was published by Candlewick Press in 2005. The Wall Street Journal called the book “an ambitious push into the young adult market.” She is also the author of A Certain Strain of Peculiar, a Bank Street College Best Children’s Book of the Year and Chancey of the Maury River, A William Allen White Masters list title for grades 3-5. In 2012, Gigi received a Theresa Pollak Prize for Excellence in the Arts. Come August, Come Freedom, her first work of historical fiction, was selected as a Bank Street College Best Children’s Book of the Year, a 2013 Jefferson Cup honor book, and the Library of Virginia’s 2013 People’s Choice Fiction Award. In 2015, Candlewick published Two for Joy and Dante of the Maury River. Gigi earned a Bachelor of Science degree in urban studies and planning from Virginia Commonwealth University (VCU) and has worked in the health and human services sector for nearly thirty years. She is a certified yoga instructor (RYT 200) and is currently pursuing a Master of Science in Gerontology at VCU. She lives with her family in the city of Richmond. Kris: When it comes to that time for rolling up your sleeves and diving into your work, what is the most fun part of the process for you? Gigi: I live for that moment when everything comes together in my mind: the fog lifts, and I understand how the path can unfold. Also, I could research for light years and still want more. 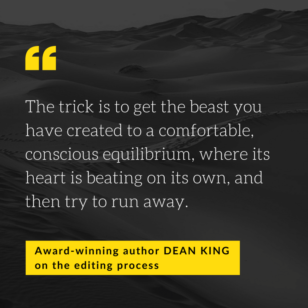 Kris: What do you think is the most important thing for a writer to know about the editing process? 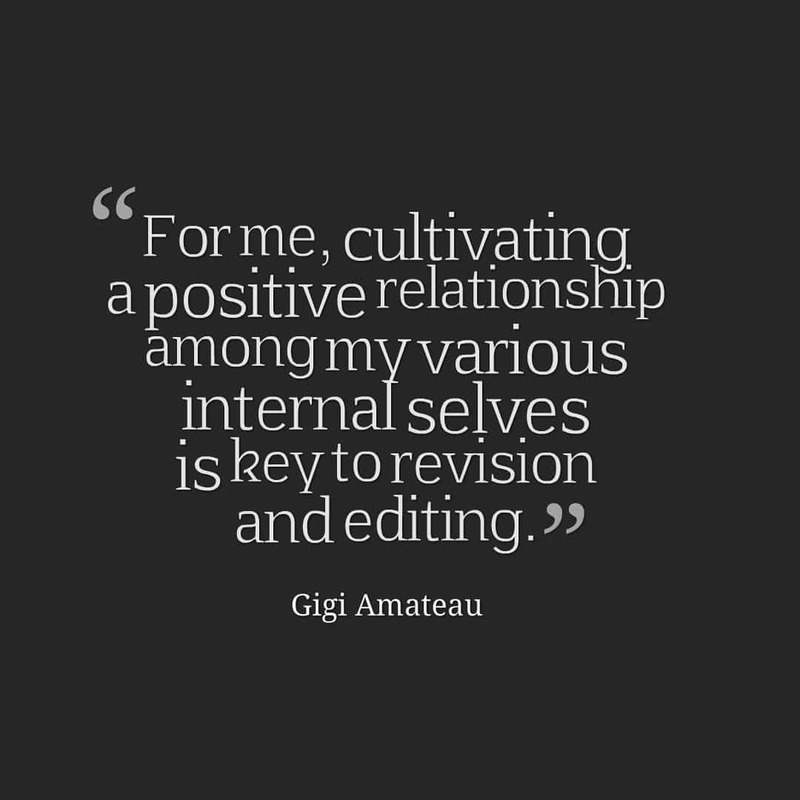 Gigi: For me, cultivating a positive relationship among my various internal selves is key to revision and editing. Everyone may not segment their writing process into distinctly different parts; that works for me. In the beginning of a new work, I ask my internal editor to stay on the sidelines, observing and listening, while my wilder and freer writer goes up the mountain or out to the islands—wherever the story lives. A friendly and trusting internal editor knows that if she’s going to have something to work with, she must support and encourage that initial expedition, which ultimately makes her job easier. I love my internal editor! Kris: Thinking of your writer mind as having unique selves within it is fascinating. I can see how it could be easier to break down the process that way. Different tasks need different skill-sets, and who likes someone hovering over their shoulder? I like that. So how have you found that your internal selves do their best work? 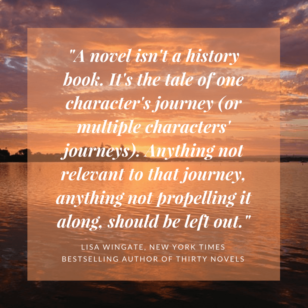 Gigi: Fairly consistently, my process involves free writing a longhand first draft, revising directly into Scrivener, reading out loud, and revising on a hard copy. Repeat all or portions. And lots of research, always. Kris: I know a lot of writers who use that hand-written to digital transcription time as revising time. And reading aloud is always great advice. Are there any red flags for you when something needs to be reworked or perhaps cut entirely? Gigi: When I observe myself taking off my glasses and setting a manuscript down at the same spot over and over—repetitive drift-off syndrome. It’s a major clue. Kris: Right, because if the story’s not holding you, the author, in that moment, it won’t hold the reader either! Great advice. What about punctuation or word usage issues. Are there any that you often have to remind yourself of along the way? Gigi: Oh, I’d say commas, in general. I think I’m getting better as I get older! Kris: Commas. So many writers have a love-hate relationship with commas. 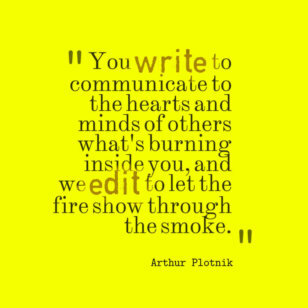 Any parting words about editing or grammar pet peeves? 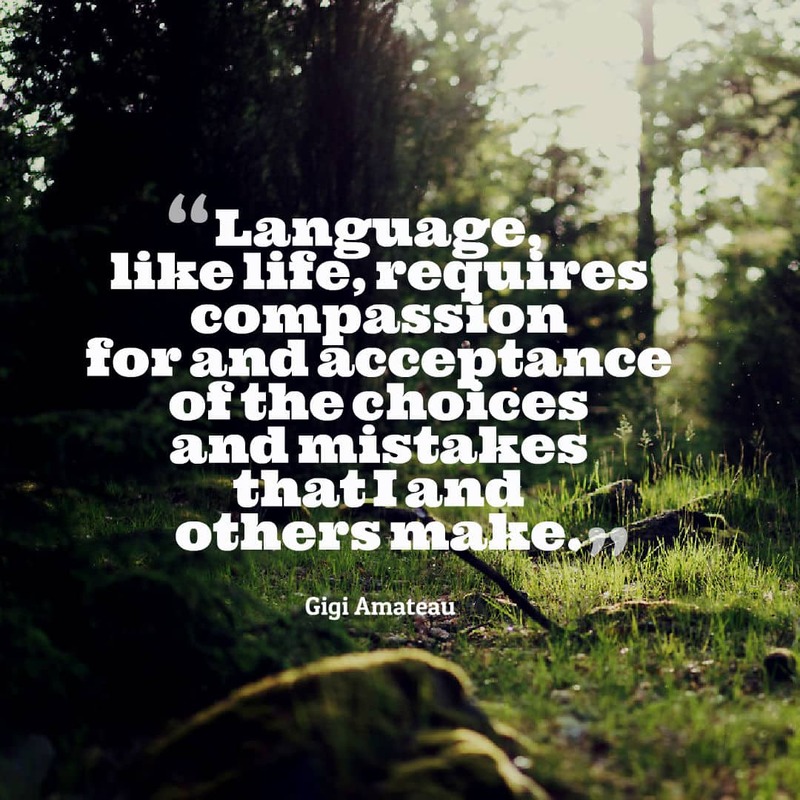 Gigi: Language, like life, requires compassion for and acceptance of the choices and mistakes that I and others make. What a fabulous place to end. We need to be kind to ourselves as we revise our own work, and we need to be respectful of others in their communications. There’s integrity in both acts, isn’t there? Thank you so much, Gigi Amateau, for discussing your revision process with me, and happy editing everyone!